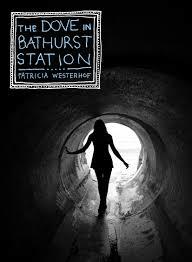 Following her collection of short stories Catch Me When I Fall comes Patricia Westerhof’s first novel, set in the city of Toronto. The Dove in Bathurst Station is an exploration of the soul and how roots can give strength but can also entangle. Everyone is the product of upbringing and life circumstance. Just as the characters in her story explore Toronto’s underworld of sewers and drains, so Westerhof explores what lies beneath the surface of our spirituality and emotional health. Much of Christian fiction genre tends to tie everything up with the requisite conversion experience leaving the writing quite one dimensional and unhelpful in a complex world. Westerhof has crafted a fine example of what good Christian fiction should be, a much more real and redemptive multilayered literary experience. She has the courage to leave some questions unanswered. Marta Elzinga, a high school guidance counsellor, struggles with work, marriage and family. She is dedicated to her job and relationships but often feels inadequate and not up to the task. Seeking adventure and meaning in her life, she embarks on a new interest that just may get her landed in jail! Westerhof sets her characters in the Dutch sub-culture in Canada. Having grown up myself in this community, there were many familiar points of connection for me: my Dad a CRC pastor with similar outlook, being uprooted as a preacher’s kid, spending my teens in southern Alberta. However, the most important point of connection I felt was much more powerful than that. A typical and familiar aspect of the Dutch reformed faith is that striving to experience the love and forgiveness of God in the midst of our broken world. God’s kingdom has come already, but not yet in its fulness. This “already but not yet” creates a constant tension which Westerhof addresses in the novel. We all suffer from the pain that is caused by loss, shame, guilt and regret. The very things which we would love to just be able to erase from our past, are the very things that have shaped us and have contributed to the people that we are. Just as the city of Toronto has evolved and developed – not always through careful controlled planning – but often haphazardly in reaction to historical developments, so unique character is built. And yet God loves us each unconditionally with all of our quirks. Forgiveness, grace and healing are at the heart of this story and I commend the author for keeping the novel fresh. Other less skillful authors may have been tempted to descend into “light at the end of the tunnel” type moralistic cliché. And even though the novel ends on a hopeful note, it is not necesarily happily ever after – life is like that. ‘Catch Me When I Fall’ is a collection of short stories, all set in a fictitious town called Poplar Grove, Alberta. The stories are about separate families but loosely connected in the Dutch immigrant community. Westerhof includes many details which would feel familiar to anyone who grew up in that sub-culture: peppermints in church, meatball soup with Maggi, African violets watered from the bottom only! There is thriftiness, tidiness, a devotional called Today, and shepherd’s pie. Westerhof knows her characters well, in all their braveness and brokenness. Why were these immigrants so stubborn and strong willed when they were the ones with the gumption to move to a foreign land? Would they not be more flexible and tolerant of inevitable change? 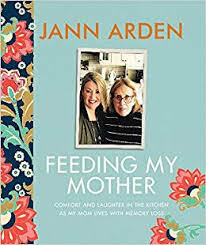 The middle word in the title of her book is important. It is not a matter of “If”, but “When”. In our humanity we are broken and in need of redemption. We don’t always get it right and though the Potter has crafted us and loves us, we are broken pots. Stories don’t always end happily, cultures and generations collide. But this is where Westerhof brings God’s love and redemption in. God’s grace shines through those cracks, it’s how the light gets in. And He will catch us when we fall, hopefully and sometimes with the help of His people in community.